A GDP estate planning attorney can help you build flexibility into your trust. Creating a trust is a popular way to distribute assets after death. When you establish a trust, you don’t just leave your home, money or other valuables behind to your loved ones. You set up a system for managing your assets so that your wealth continues to grow and you can prolong the support you provide for your family after your death. A trust also regulates the distribution of assets (follow the original link) over time so that your loved ones are cared for far into the future. Most people identify their children as their beneficiaries. However, simply identifying future children as heirs may not be specific enough. For example, if you adopt, will those children be included as beneficiaries? Will your answer be the same when they become adults? What about children that you conceive using assisted reproduction, such as the use of an egg donor or a surrogate? While you may have strong feelings about leaving your assets to all your children — whether adopted or conceived with medical assistance — others may use any ambiguity in your will to challenge it. Therefore, if you are not very specific in defining your beneficiaries, you may leave your estate plans vulnerable to challenge. Trustees are given the responsibility of administering your trust, including distributing assets and making decisions about where to invest certain funds. If you have a considerable estate, you will need to choose a line of trustees to administer it for generations to come. 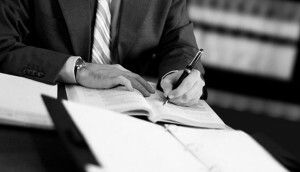 It is wise to name a corporate trustee in addition to a trustee who is a family member. Not only will a corporate trustee have the longevity you need, but it will also help to keep down the costs of administering your trust. Family members who are given sole responsibility for the trust will have to spend a considerable amount to hire consultants on tax, legal and financial issues related to administering your assets. A corporate trustee, on the other hand, can take care of all responsibilities for a single (lower) fee. You can name a corporate trustee as either a partner or an advisor to the trust. It is important that you give beneficiaries or a trust protector the right to appoint or remove trustees without having to bring the issue to court. You can give certain beneficiaries, such as your spouse, the “power of appointment.” The power of appointment allows a beneficiary to name new beneficiaries or to exclude beneficiaries you have already named. One way this can be useful is if you leave assets to a future grandchild but your child fails to have any children. A beneficiary with the power of appointment can name a new heir or to redirect the assets to other heirs you have already named. You may also add the power of appointment if you have any doubts about the future of certain heirs. For example, one of your beneficiaries may struggle with addiction or have problems managing finances. A beneficiary with the power of appointment can exclude these heirs if their behaviors become destructive. The power of appointment can also be used to add or exclude charities as beneficiaries. You can identify the scope of power that is granted. A trust protector works outside of the trustee to ensure that all your wishes are fulfilled in the administration of your trust. The trust protector can modify the trust, appoint or remove trustees and more. You can choose the powers that the trust protector has. Yet, in most cases, the trust protector has the ultimate authority and can make any changes that are necessary to solve any problem with your trust. Appointing a trust protector should be at the top of your list for amending your will to make it more flexible. The trust protector can take care of any issues that might arise with your estate. Trust decanting is the process of taking assets from one trust and transferring them to a new trust with different terms. Trust decanting can be used to gain more favorable terms, which can help your assets grow and provide more for your beneficiaries. Trust decanting allows for changes to trustee succession; converting a trust that ages out with the beneficiary; converting a trust so that it is not accessible to creditors; changing the power of appointment; moving the trust to a state with more favorable tax laws; merging multiple trusts into one; clarifying issues in the trust; and more. Allowing for trust decanting helps to reduce the risk that your beneficiaries will wind up in court to protect your estate or to get the assets that they were promised. It is impossible to predict the way your family and the market will change after you are gone. By incorporating some of these changes into your will, you can ensure that there is flexibility to adjust your estate plans to meet the needs of your heirs. 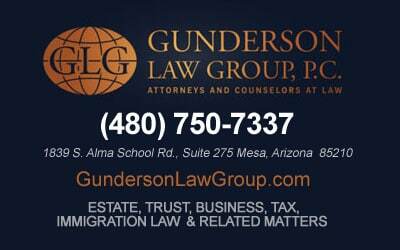 The estate attorneys at Gunderson, Denton & Peterson can help you create estate plans that have this built-in flexibility to ensure that your family is provided for long after you are gone. We can make recommendations tailored to your specific needs, raising issues that you might not have thought about otherwise. We can also review estate plans that you have already drawn up and make recommendations for revisions. It is unlikely that if you had an estate plan drawn up more than a few years ago that it will have the flexibility you need to grow with your family. Call Gunderson, Denton & Peterson today to start the conversation. You’ll be able to rest easy knowing that your final wishes will be honored and your family will be protected.